Christmas will come soon and the time came to install the indoor and outdoor Christmas lights. Because I am lazy 🙂 and we are in the voice assistant era I would like this year to control them with a smart device like Echo thru Alexa or Google Home with just my voice or an app thru my phone. 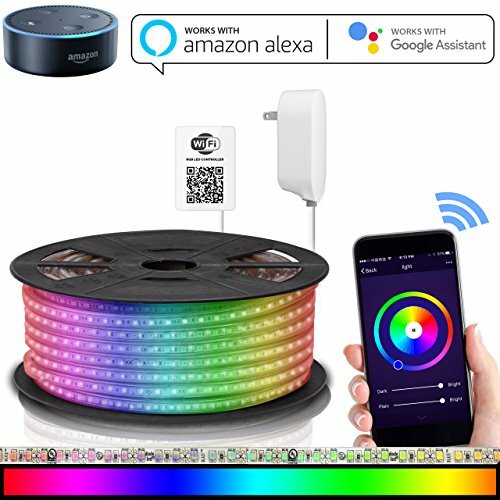 In this article, I would present some of the tools that you can use to have your indoor and outdoor Christmas Lights controlled with a smart assistant. Being able to schedule stop/start time for the Christmas Lights or to activate them just by voice or with your phone it is incredible and makes things a lot easier. 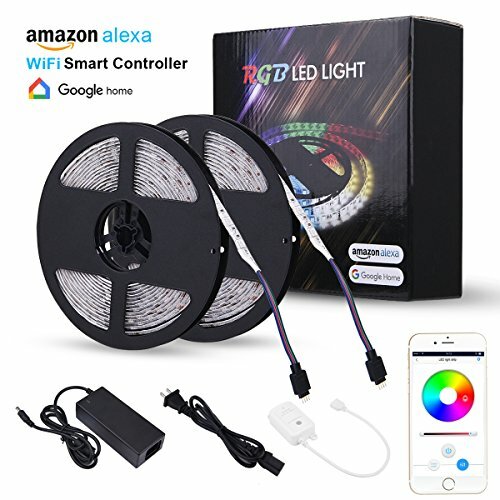 Below are all ways and tools that can be used to control your Christmas Lights in a smart way. TP-Link HS100 Kasa Works with Alexa Echo & Google Assistant and has a phone app. It even comes packed with a very cool “Away” mode which will switch on and off your lights at random times, which will help deter any burglars! It has an elegant design and installs within seconds into your traditional plug. You can also easily control the plug from any Android or iOS device. With its Remote Control feature, you can control the plug even when you are away from home. Another great option and this one is also compatible with Siri or Apple HomeKit. The Wemo Mini WiFi Smart Plug uses your existing home Wi-Fi network to provide wireless control of your lights and appliances. 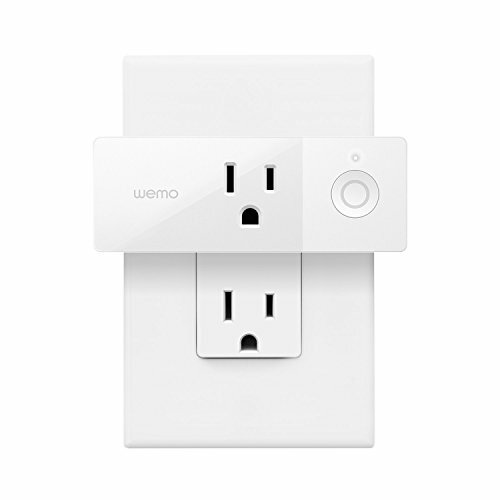 No subscription or hub is required: simply plug Wemo Mini into an electrical outlet, connect a device to the Smart Plug, and wirelessly control your device using a tablet or phone. Using the free Wemo app, you can turn your devices on and off and set worry-free schedules from anywhere in the world. 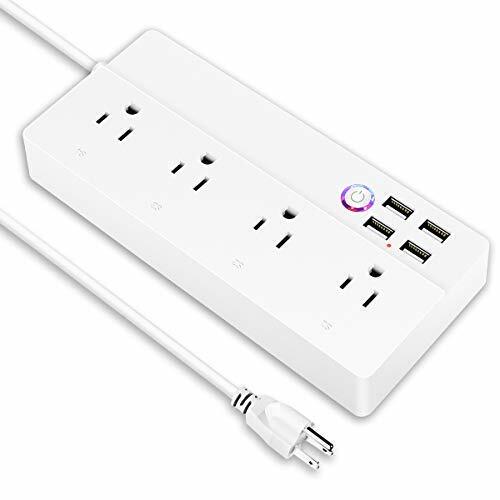 In case you need to plug more lights than you can try Pinlo smart power strip equipped with 4 outlets and 4 USB charging ports. It can be controlled with Alexa and Google home and it has a phone app. 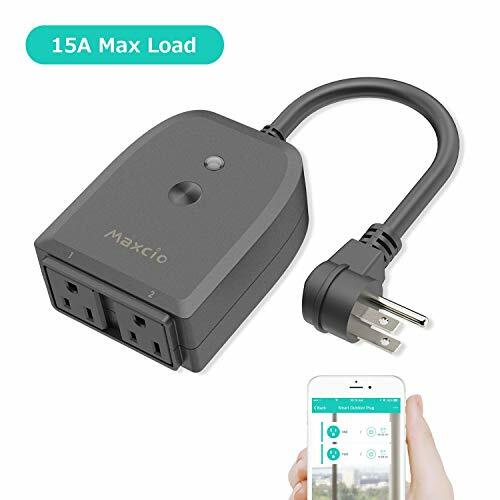 Maxcio can be controlled with Alexa and Google home, it has a 2 Outlets 15A/1875W max for each. IP44 Weatherproof , ETL/FCC/RoHS certified. With ABS fireproof material and splash-proof design, features weather and impact resistant housing withstands damp or wet conditions. It needs to be connected to a 2.4GHz Wireless network to be controlled. You can schedule a timer event or countdown event on your phone anytime and anywhere. 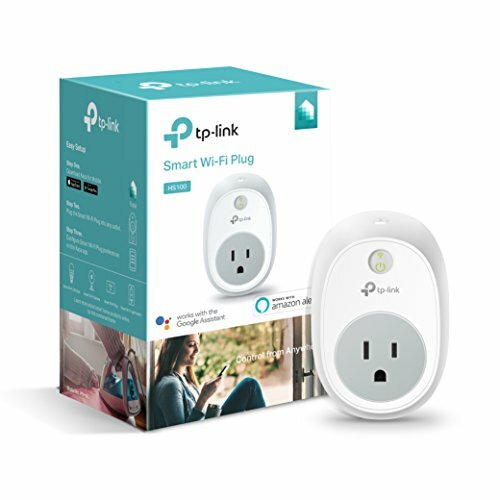 In case you don’t like the smart plug alternative then you can buy directly smart lights that can be controlled with an app or voice assistant. They are more expensive than the smart plug and using the same principles. In case you already have Christmas lights then you would better go with the first options. 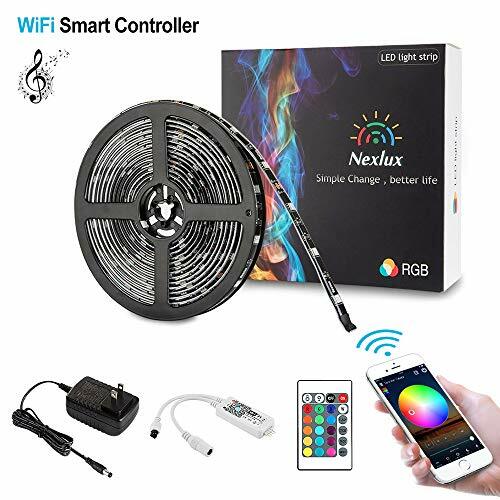 Nexlux comes in 2 sizes 16.4 and 32.8ft and they can be controlled with Alexa or Google Home.By using the Mic function and Music Function, the light strip dance with the rhythm of the music, Transform your space with over 16 million colors and a thousand shades of white. It can be connected with Alexa and Google home, You can set it up with your morning alarm clock. And 3 scene modes available, “Quiet mode” “ Romance mode” and “ Party Mode”. It has 16 milions colours.